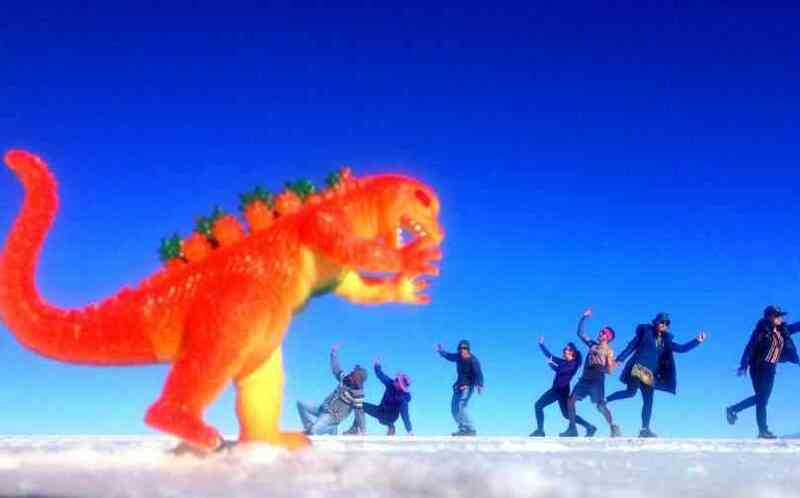 Salar de Uyuni, Salt Flats of Bolivia, has been one of the highlights of the 18 month career break so far! It featured highly on my ‘to do’ list since I awed over another traveller’s photos in Oz back in 2009. And it didn’t disappoint! Find this useful? 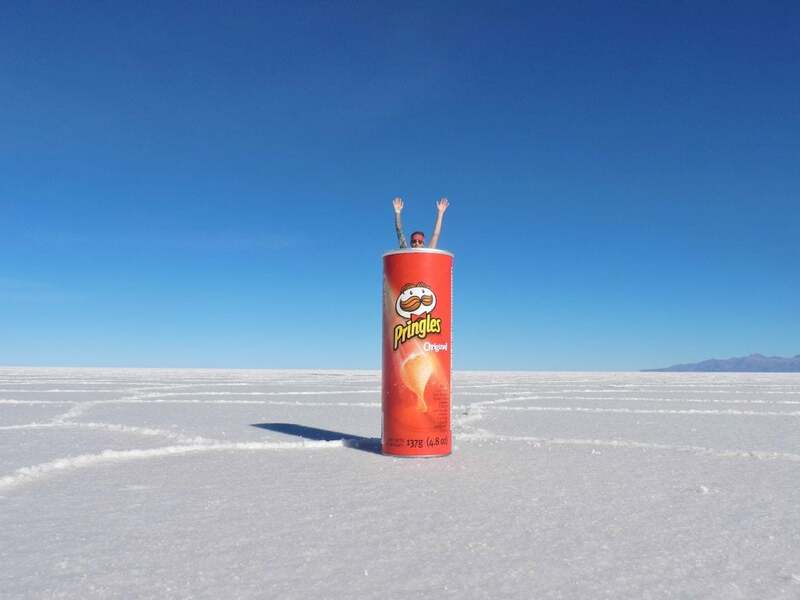 Pin to your Bolivia inspiration board! Where is the funniest place you’ve taken photos? Craig and I left La Paz via the Todo Turismo overnight bus. Book in person by tourist operator or in the office itself which is across from La Paz bus station. Our first attempt was fully booked so we had to wait until the next night (Craig tried to book online but the site is rubbish.) The ten hour journey costs 543.43 bs / £51.27 (2 personas) with a ‘dinner’ meat (chicken, rice and veg) or vegetarian option. A breakfast of crackers, yoghurt and marmalade cake is provided when you arrive. The seats recline. 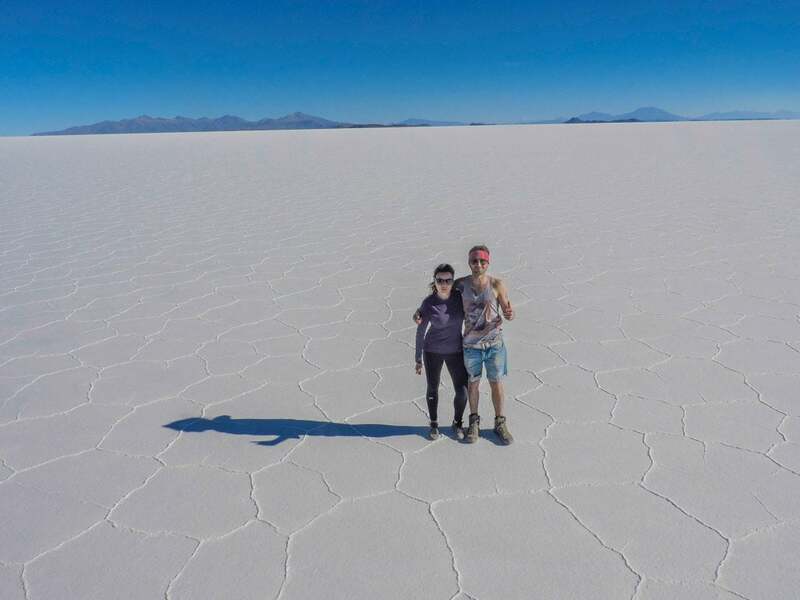 I really didn’t sleep well in all honesty, the road is so bumpy but once you get to Uyuni you see that’s just the infrastructure. We were spoilt in Peru with smooth roads and a smoother ride with Peru Hop! Bleary eyed and disorganised I stopped into the Todo Turismo, Uyuni office where the very helpful staff traced Brisa Tours address for me. She tried calling a few times but no answer so another woman who had come to collect a customer for her tour walked us around. 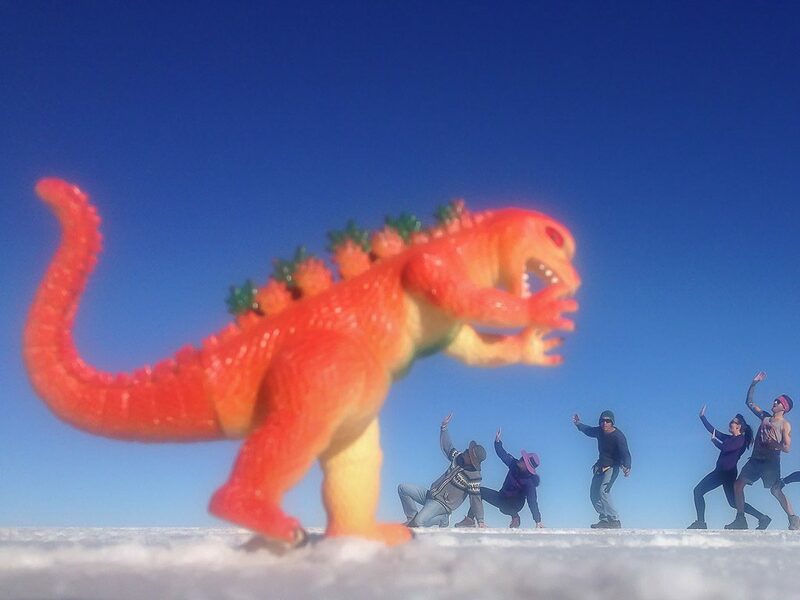 The people in Uyuni are so friendly. 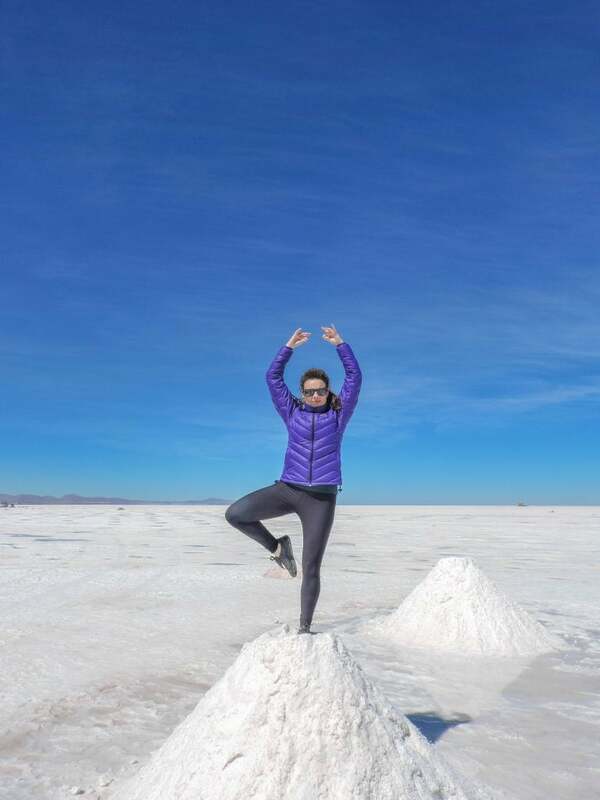 We chose Brisa because our travel photographer friend, Darren and his wife, Alison, had previously done the one day tour with them and were pleased. Check out Darren’s Instagram, you’ll see why we placed our trust in their recommendation. Brisa’s communication is shocking! The only online presence we could find was a Facebook and email address but we received no reply from either, naturally we were dubious. The sales advisor booked us on the 10:30 day tour (we thought we were on the ‘sunset’ tour, miscommunication, but we still experienced the sunset so we were happy). This gave us time to check in to our hostel Cilos and shower. The price was 200.00 bs / £18.87 each. Our plan didn’t quite work that way. Cilos is a good ten minute walk out-of-town, in the middle of no man’s land. The staff bent over backwards for us (made us breakfast ‘para llavar’ to go and called us a taxi). The taxi never came but they called Brisa for us and our driver actually collected us. Back on track. Craig, myself, four Koreans and a Chilean piled into the 4 x 4 Lexus with our driver, José, behind the wheel. He never showed any signs of reckless driving (or drinking alcohol which is the big concern with many reviews). 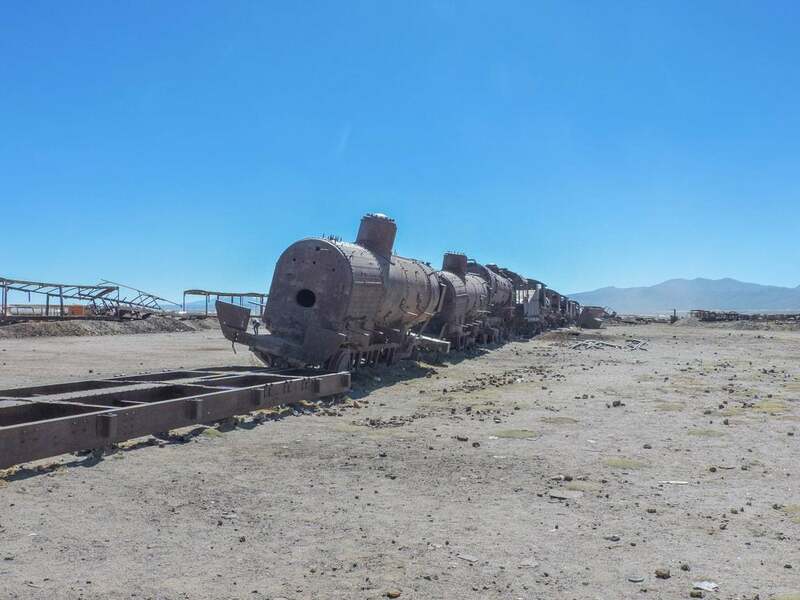 We drove for about an hour with two unnecessary (subjective) tourist stops, one to a disused area with rusty trains (turns out it’s a museum with some history, had to look that up after the trip). And the other to a small market (which doesn’t sell much needed coffee). You could buy a dinosaur here for your photos. Ten minutes later we were on the start of the salt flats. Another half an hour later we stopped for lunch which was prepared by José. He spoke broken English and with our patchy Spanish there was a bit of confusion over whether lunch was in fifteen minutes somewhere else; lasted fifteen minutes here or whatever. He went in a bit of a huff at this point but came around. After dinner of chicken, rice, vegetables and watermelon which was all delicious, we were free for an hour to explore the area. You had to pay 30 bs / £3 for the pleasure but the views were nice. Not essential if you are budgeting. Next stop – what we were there for… the comedy photos! José organised a few group photos. Unfortunately he was only up for using iPhones and not SLRs. …but we had another tourist / toilet stop before catching the sunset. 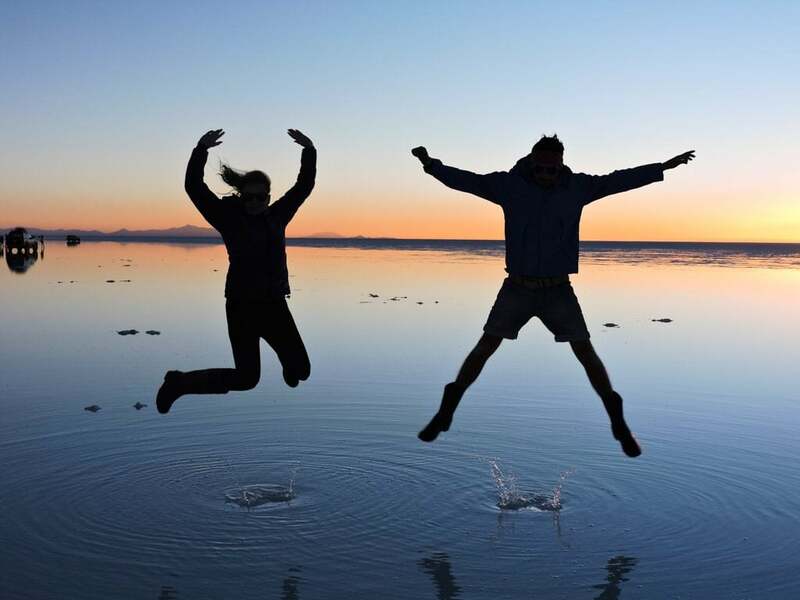 Brisa provided wellies which were a necessity for the area where you watch the sun set on the salt flats. Watching dusk creep in and the sun disappear really was magical and a perfect end to the trip. 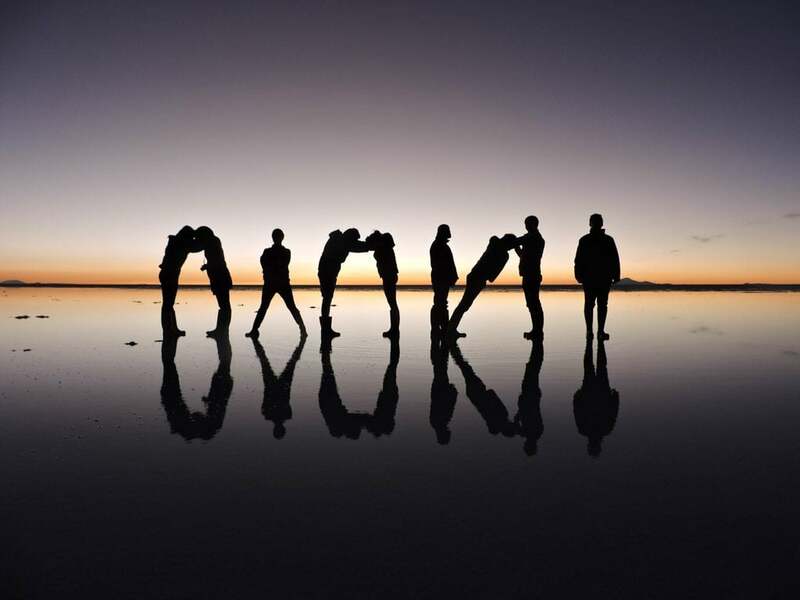 We had a pushy Korean who wanted to get more snaps which we are so thankful of, she coerced José into it, even rounded up two randoms to create this epic piece of photography. And José hooked us up with some romantic shots. We were back at the office for 8pm. The Koreans were heading for nap then out again at 3am for the sunrise trip. If we had time I would have joined them. The tour exceeded my expectations. I had such a fun day and would recommend Brisa Tours to anyone (we had no affiliation with them). 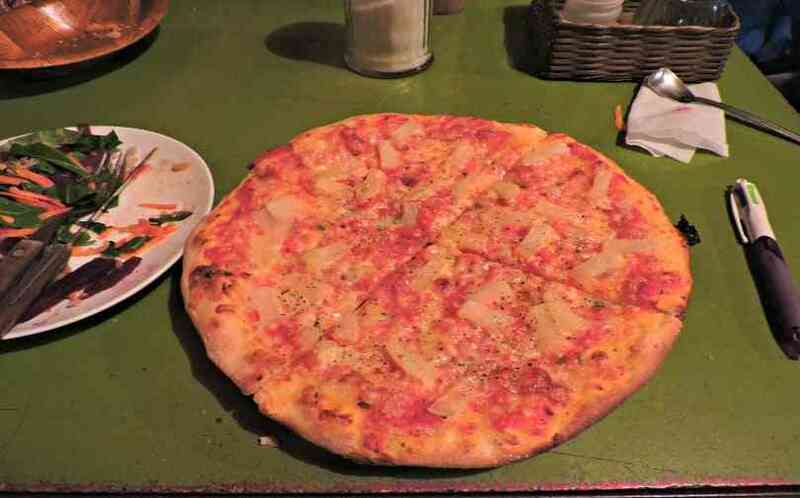 Our night ended with the traditional pizza at Minutemen which is tucked into Tonito Hotel. It took us a while to find, but it was worth it. Like everyone says, Chris the American owner, is a lovely man and his pizzas (and cookies) are tasty. You also get a salad to balance your diet, Craig doesn’t do leaves so Chris gave him honey roasted nuts to go with his beer! 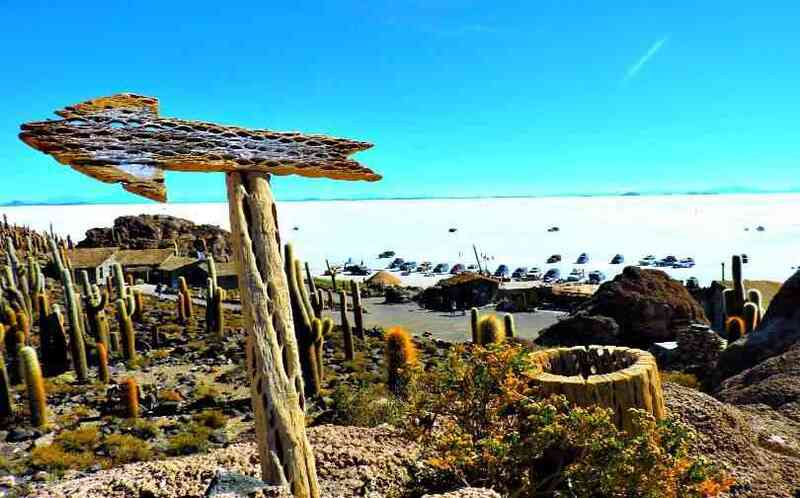 A must if staying in Uyuni. I heard the breakfast is banging too. Pizza was washed down with a Bolivian lock in to watch the Manny Pacquiao vs Floyd Mayweather fight then a taxi back to the hostel (10 bs). Next stop – a local bus to Potosi, one of the highest towns in the world. I’m worried my Mac gets altitude sickness, honestly! Ahhh Gabby, join us on Instagram! That photo just went up yesterday with an explanation. 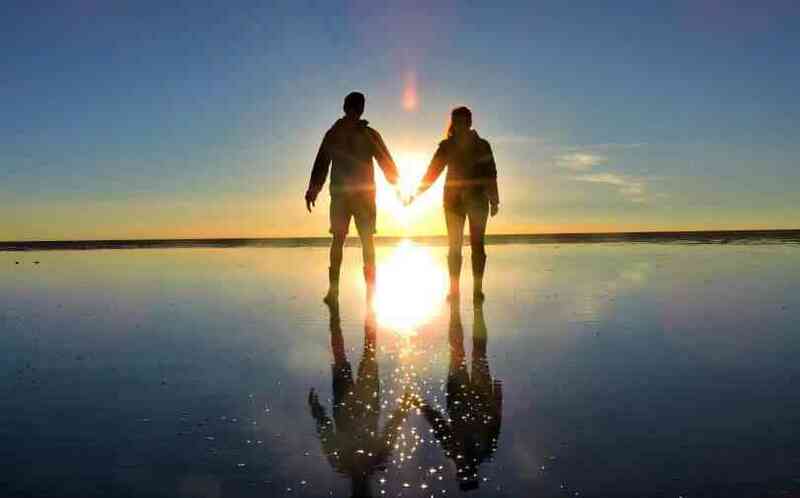 OK so cover the the people and look at the shadows in the ground. 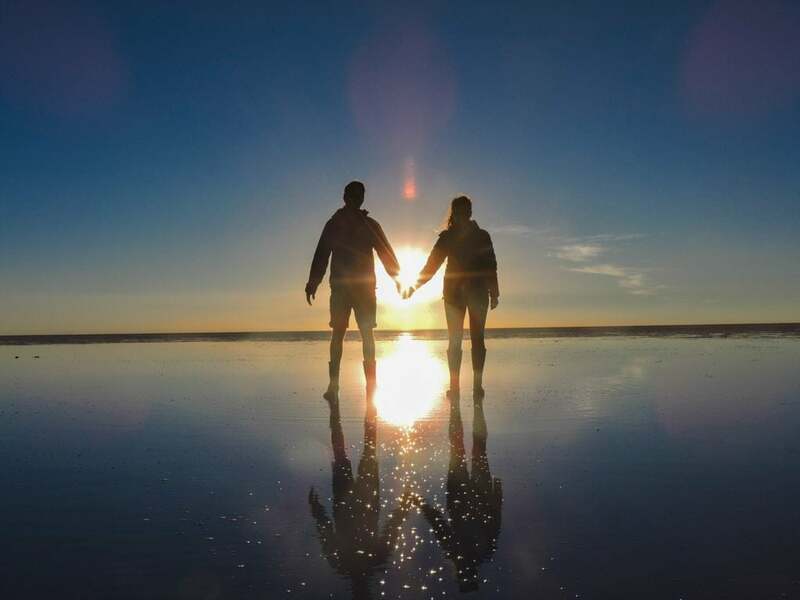 You will hopefully see Uyuni which is the town where you leave for your salt flats trip. Definitely do it, it’s so much fun! Ahhh, lovely! When I make it to South America again it’ll be on my list. 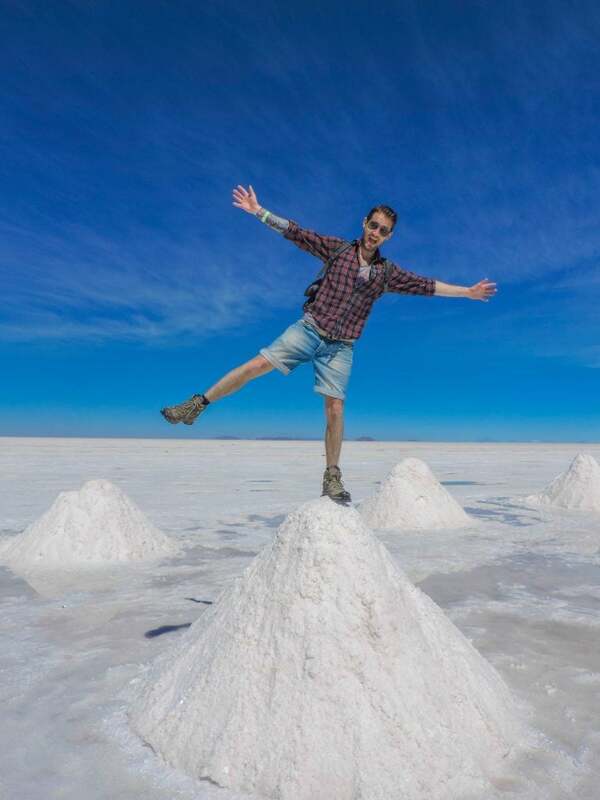 I was wondering about the one day v longer tour too – my fear was that though I might see more in a longer tour, it would be crowded but also might get a little ‘ok, seen flat salt plains for 2 days now, bored’! We did debate 1 v 3 for a long time but happy with our choice! Thanks for stopping by. Thank you for sharing article is very good. Thank you for joining us. It was such an amazing trip. Wonderful experience. 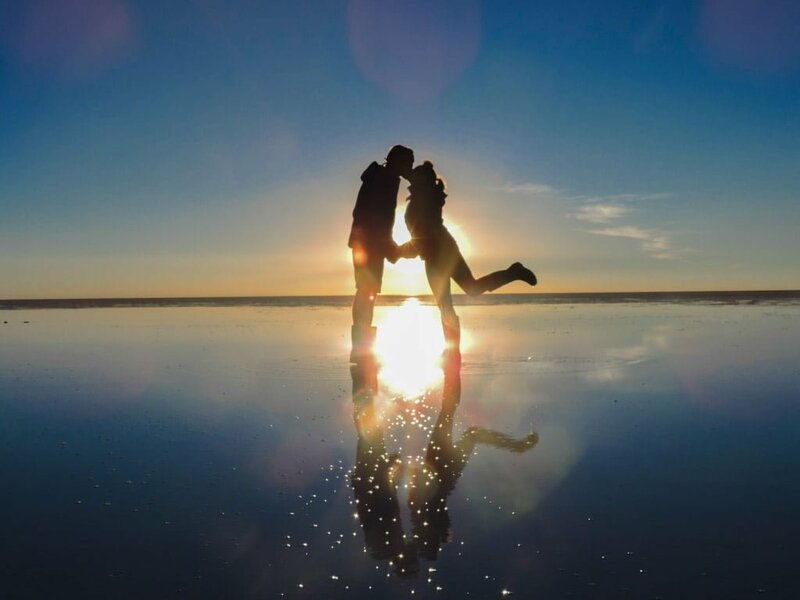 Salar de Uyuni is definitely a magical place. Your post brought to my mind memories about my first travel around South America. Thanks Nelson. It is still one of my highlights four months in. Craig actually just painted the ‘kissing photo’ on a plaque in Roberts Creek (Canada) where we are living just now! Thanks again, photos look great!! Not going to lie, now that we’ve had three months of sunshine I’ve been thinking – why did we spend a month in the cold in Cusco and Bolivia! Obviously it was worth it to see the delights that they had to offer. It is a hard choice to make – good luck! It is so much fun, take props! Loved your blog. 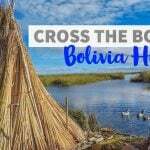 Hubby and I are off to peru and bolivia in Nov and like you hear stories of the boarder crossing and dangers of bolivia, where a friend of mine said it was her favorite place. Will definitely jump on the boliva hop. from cusco to la paz! Thanks Jo. We really do appreciate hearing that it helps. 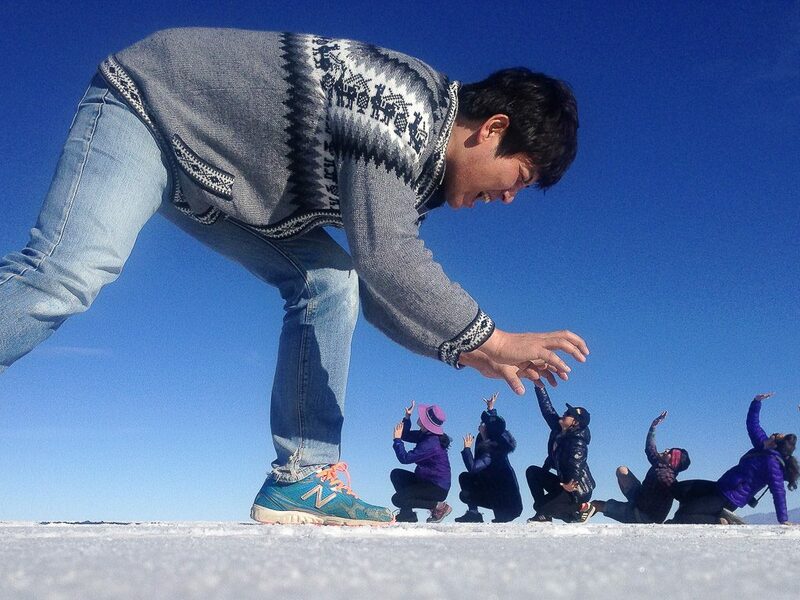 The team at Bolivia and Peru Hop are a hoot, contributed to us having such a fun time. 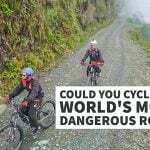 Will you make it to Machu Picchu? We are indeed, im am in the throws of planning now but havent planned a bloody thing, to many choices! 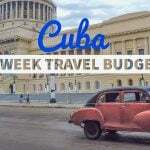 im a stickler for wanting all the options, i love suggestions so throw them at me:) starting in cusco, and we were thinking rather than walk the trail, horse ride through the sacred valley for 3 days that ends at Ollantaytambo then carry on in, but also with the 7 day banjo tour in bolivia we wanna do we are proberly $$$ dreaming, so need a new plan for cusco & getting around the sacred valley. The train to Machu Picchu can be expensive, consider that in your planning too. Not as expensive as a trek mind you. Ollantaytambo is a quite wee town! I’ve not heard of the Bolivian trek, shame I love treks! IMO the three day tour is totally worth it. You see far more interested stuff than the just salt flats. It does get cold but if you hire a sleeping bag and sleep in your clothes you’ll be fine. 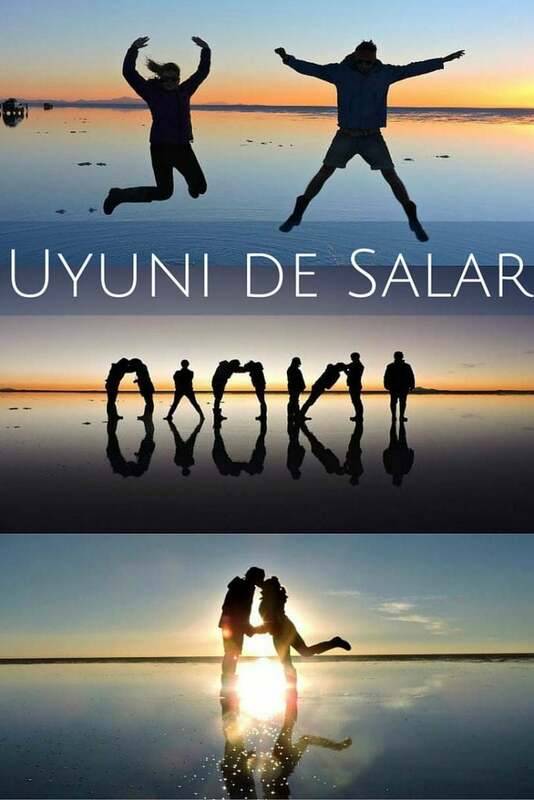 Gorgeous photos, especially the one where you spelt out “Uyuni” – I sat there for a while puzzling over it until I worked out it was the reflection I had to look at! That photo does get that response often! I’m just so thankful of the girls who had obviously done their research before the tour and we benefited! Have you been? Not yet, but I’m planning on heading to South America including here next year! Don’t miss Colombia! It wasn’t even on our itinerary but everyone we met in Peru encouraged us to go! 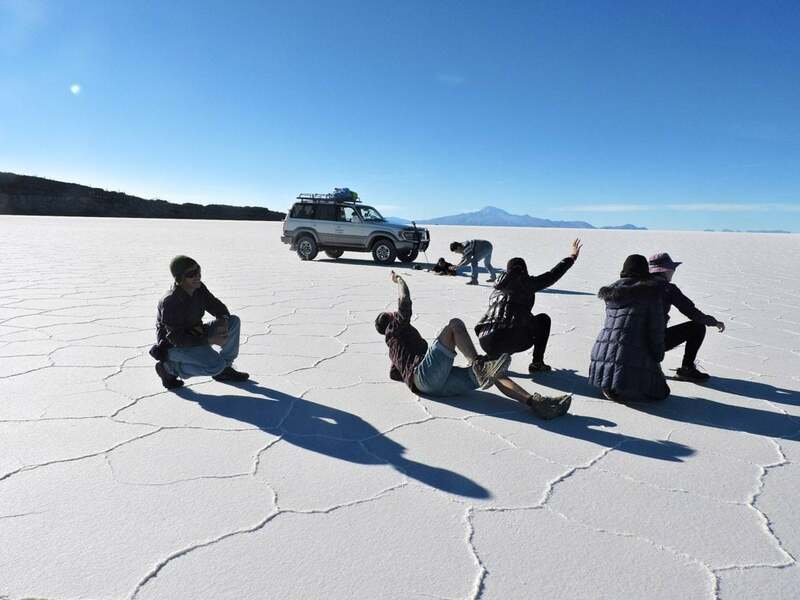 We have heaps on Peru, Bolivia and Colombia if you are looking to get lost in planning! Wonderful Cindy, great countries! This was April, it was very cold as the sun set. 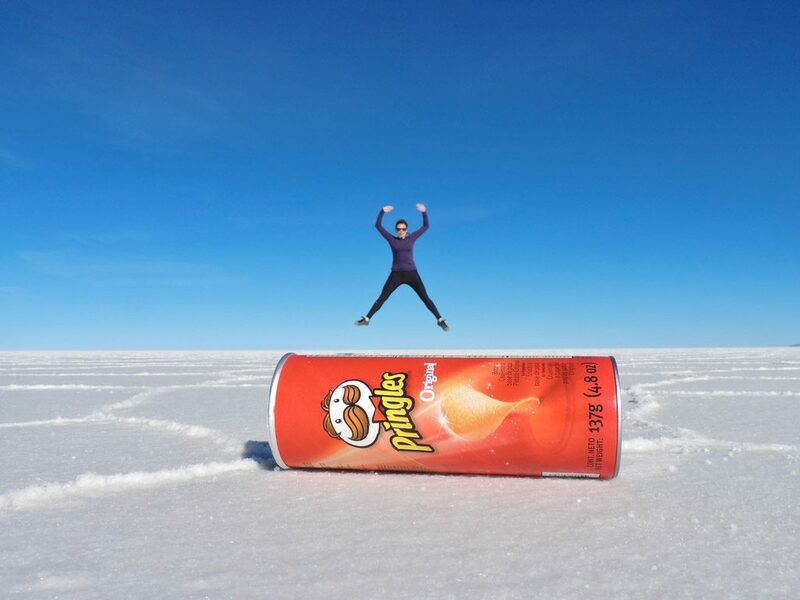 Don’t forget to check out our Peru travel guide and Bolivia guide too. Come back with any questions.